The signs were great from the trailers but when you come away from a movie so totally gobsmacked and breathless with its sheer inventiveness, wit and storytelling, that’s a good time and that’s IRON MAN THREE. With a career-best performance from Robert Downey Jr. as the brilliant Tony Stark (I didn’t think he could his better the one he gave in The Avengers but there you go! ), collaborating superbly with old pal (from Kiss Kiss Bang Bang) writer / director Shane Black, they have delivered not only the most successful of the three Iron Man movies to date – passing the $1 billion mark in 24 days – but also the best, most audacious action movie of the year. Having been part of ‘The Avengers Initiative’ has taken its toll on Tony and we find him at the start of the film, talking out his problems via voiceover to an unseen person to try and map back where things changed for him. Cue a Y2K opening sequence, with the brief and very clever arrival of a future friend and the set up for the events that will unfold a dozen years later in the present – there’s no Pepper Potts around, her place is taken by Rebecca Hall’s Maya Hansen, a super-brainy biotechnologist who Tony is flirting with; and then Guy Pearce turns up as a more than slightly geeky scientist, Aldrich Killian, trying to crash Tony’s New Year’s Eve party to tell him what he’s working on. But as Tony is more interested in Maya than some oddball, you just know that if he does ignore Killian, the decision will come back to haunt him. Events go from bad to worse for Tony back in present day, post Avengers New York escapades world – serious trouble sleeping, escalating to panic attacks, his relationship with Pepper hitting a really rough patch, all culminating in the arrival of The Mandarin, an absolutely terrifying terrorist who is determined to destroy everything in his path. Ben Kingsley’s preacher-like, self-confessed freedom fighter is not unlike that other famous most-wanted man we used to know and with a series of attacks and home-made videos to extol his cause, we’re in very real present day events that are almost uncomfortable to watch. So Tony throws down a challenge to The Mandarin to come and get him if he dares and before we know it, he has Captain America’s statement from The Avengers ringing in his ears – “Big man in suit of armour. Take that off, what are you?” So Tony finds out and in the course of his journey, goes back to basics and re-builds his life. He’s mostly helped in this by a kid called Harley. Oh no, you’re thinking, this could be mawkish and bad, having a kid in the film. Oh no! Harley, played perfectly with razor-sharp wit by Ty Simpkins and bouncing brilliantly off Robert Downey Jr.’s always acerbic Tony, creates one of the high points of the movie. 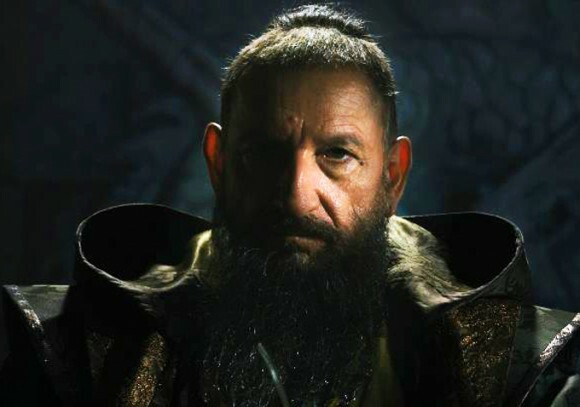 So with Iron Man back in the game, it’s time to take on The Mandarin. All this adds up to show what a great decision it was that Downey Jr. suggested his old friend Shane Black to take over the directing reins of the series with this movie. I think it’s pretty rare when the 3rd film in a franchise can do something quite as fresh and innovative as this. Being more a comics admirer than a reader, I think it also displays what I often believe comics can do so well – create a fantastical premise and then show that with gritty reality and counterpoint it with real humour – and that’s absolutely what’s happened here. Drew Pearce and Shane Black’s screenplay is superbly sharp, funny writing, delivered by Downey Jr. together with a great cast – Gwyneth Paltrow as Pepper and Don Cheadle as Rhodes both step up to the plate with more to do in this film and do it terrifically; Guy Pearce gives us all fabulous, dangerous charisma; Ty Simpkins is as mentioned, top; James Badge Dale shows a cool, mean streak as Killian’s henchman; Rebecca Hall is a nicely quirky foil to Pepper; and Ben Kingsley is simply stunning. IRON MAN THREE is put together with such freshness, pizzaz and downright boldness by Black that it’s set the bar high for the rest of the blockbusters this year to meet and makes you wish more movies could be this supremely entertaining. Two things get special mention – Danny Yount’s gorgeous split-screen, end title sequence, tipping its hat to the comics and matched every frame of the way by Brian Tyler’s catchy, jaunty score is a fitting way to possibly finish off this chapter of Tony Stark’s adventures; and if you want to know who Tony is telling his story to, stay right to the end of the credits and you’ll see. Beyond that, heck, I think I’ll just have to go and see it again!